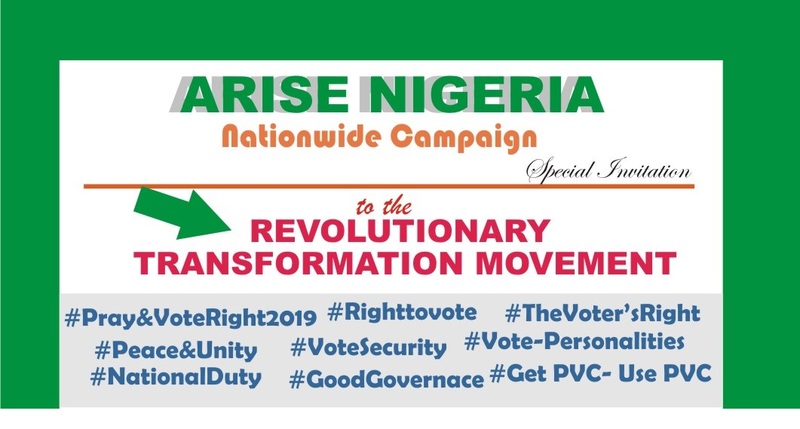 NIGERIA'S RISE TO GREATNESS may be a repeat of the great prosperity of Egypt under the leadership of Pharaoh which Joseph administered and the great deliverance of Israelites through which Moses piloted. 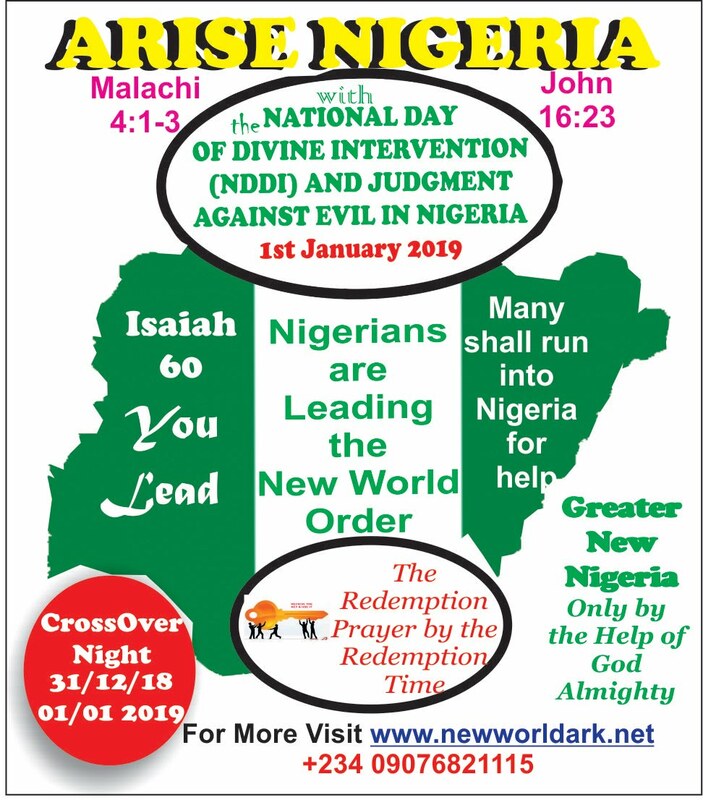 A New greater Nigeria shall materialize beginning from the 1st Day of January 2019 in glory and that is THE NATIONAL DAY OF DIVINE INTERVENTION AND JUDGMENT AGAINST EVIL IN NIGERIA (i.e night/day of the 31-December 2018- 1st January 2019) by which Nigeria's global leadership shall begin visibly. 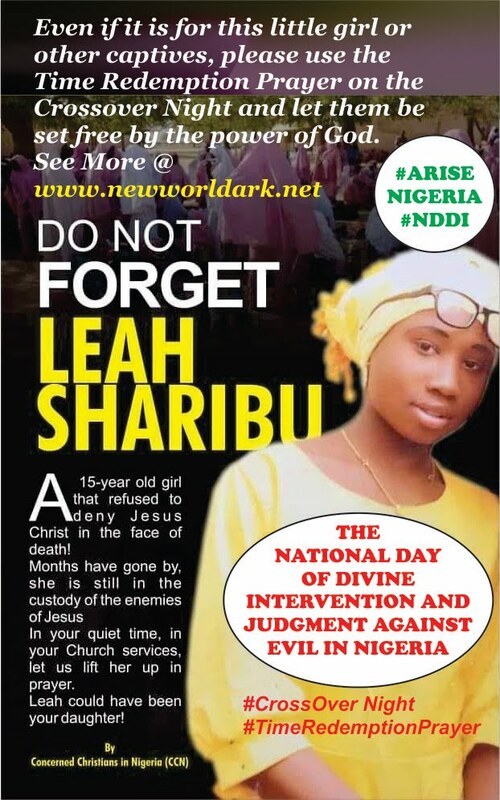 That Day, every evil plans and/or persons in and outside of government shall be destroyed and shall not survive. 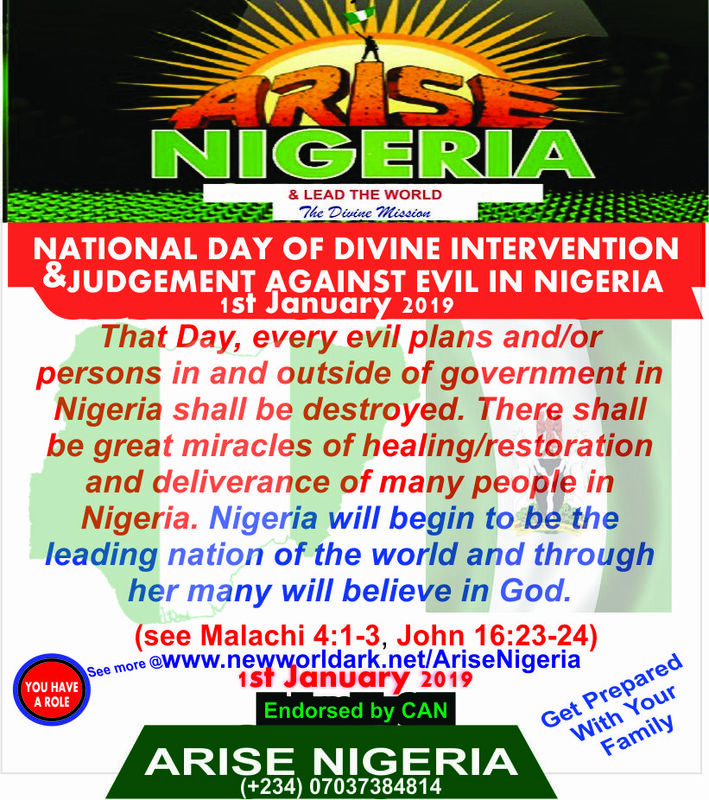 There shall be great miracles of healing/restoration and deliverance of many people in Nigeria. 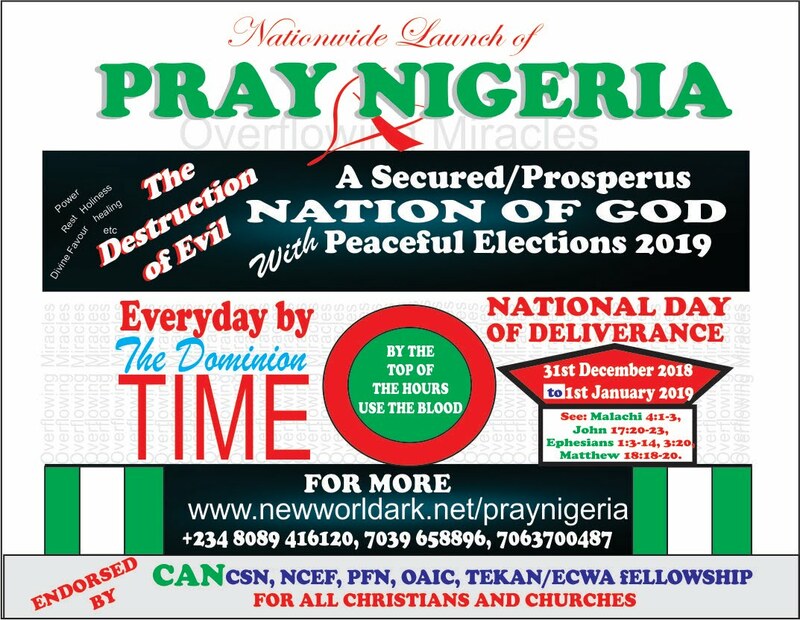 Nigeria will begin to be the leading nation of the world and through her many will believe in God; Nigerian will be greatly prosperous; the dreams of many shall be fulfilled; Nigeria will experience unexplainable peace and unity plus good leadership; evil leaders shall pass away. 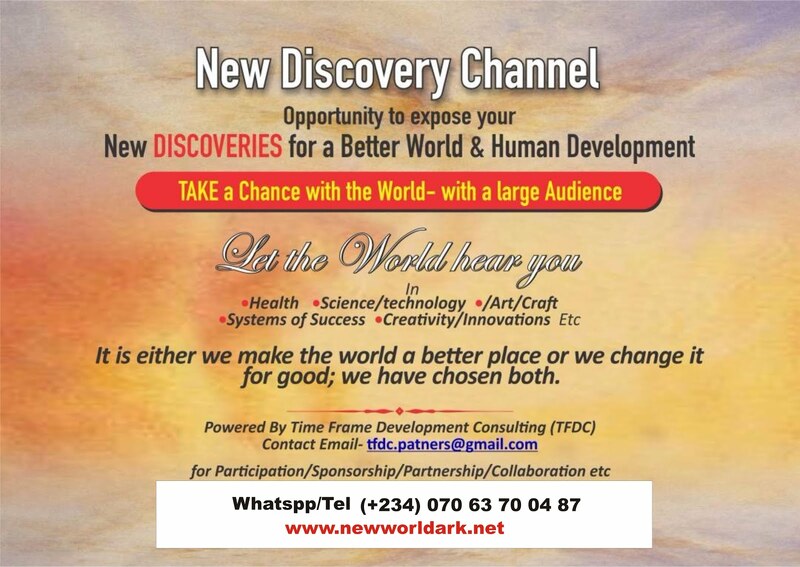 Many people will seek to invest in and come to live in Nigeria; Nigeria will mediate world peace and it shall stand. 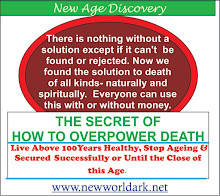 Even dead people shall be brought back to life effortlessly; hospitals will be empty because of massive healing miracle; mad people shall be restored to their senses. 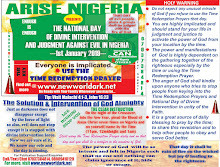 On the night of the national day of divine intervention, specifically and very importantly, evil and their sponsors who refuse to repent before that day shall be judged while the good people shall triumph and take over (see Malachi 4:1-3, John 16:23-24) There shall be great holy fear in the Nigeria and in the world with praise to God. 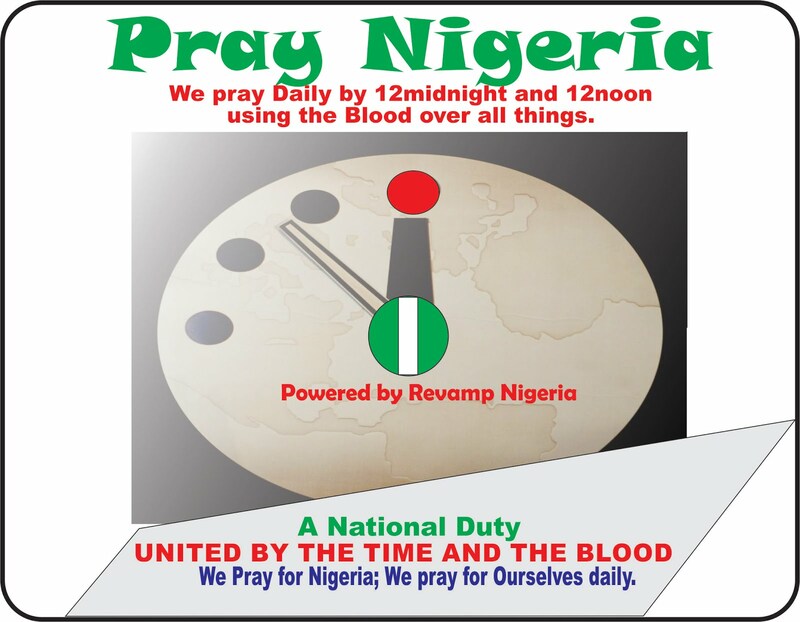 · From your location (home, church, work etc) and by 11pm, 12midnight, 1am and 12noon, you should plead the Blood of Jesus Christ on Nigeria, yourself, city/land/state, and on the date/day. This should be the unique difference of this day from the normal Crossover service. Personally or collectively. 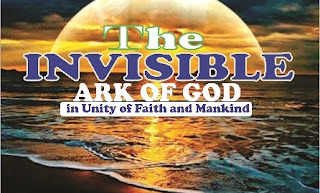 On that night, Study: Malachi 4:1-3,John 14:20-21, 16:23-26, Joel 2:25-32, Isaiah 60, Psalms 91,Exodus 12 etc. 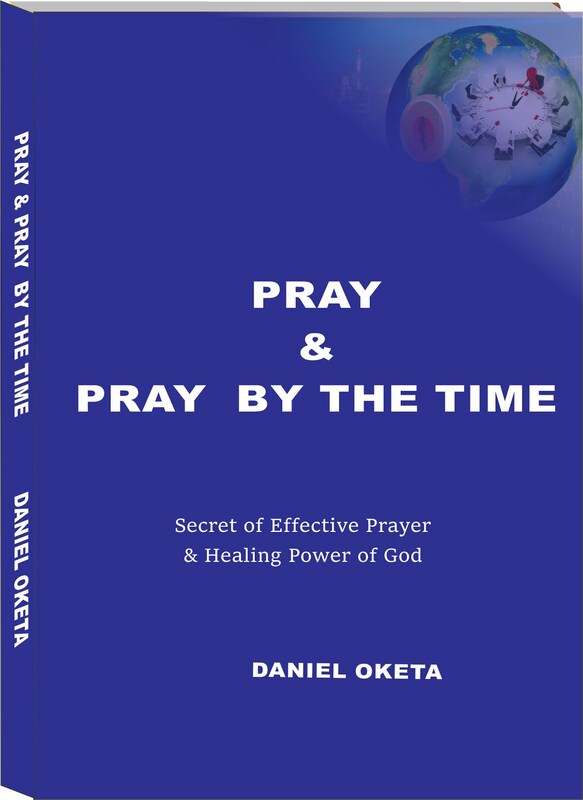 · On this night, you may sing, clap/dance or preferably study the word of God but it is most important to use the Blood by the top of the hours 11pm, 12am, 1am and later by the day at 12noon. 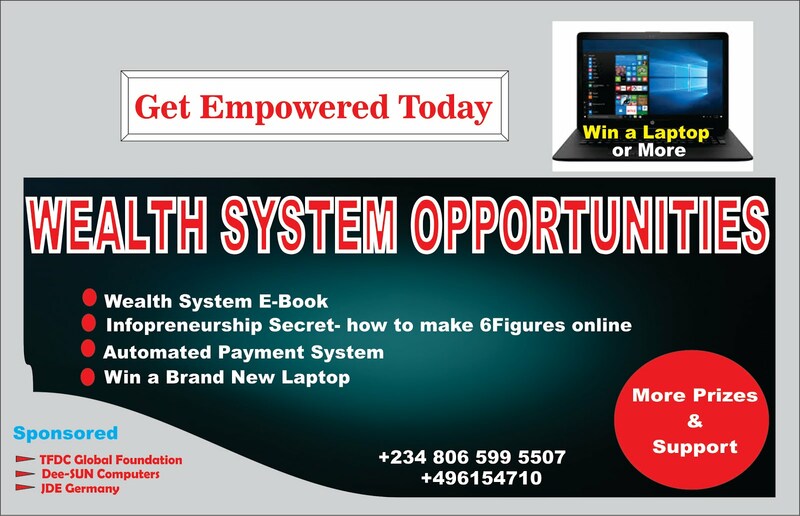 · There shall be diverse numerous miracles and Interventions of God in you and in your favour. 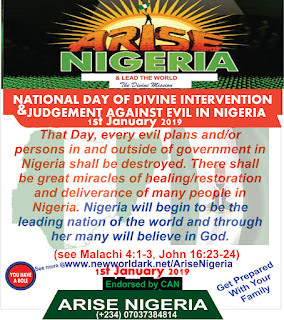 Everyone sponsoring evil in Nigeria shall suffer convulsion publicly and may not survive and All TYPES OF EVIL PLANS shall be exposed and destroyed. 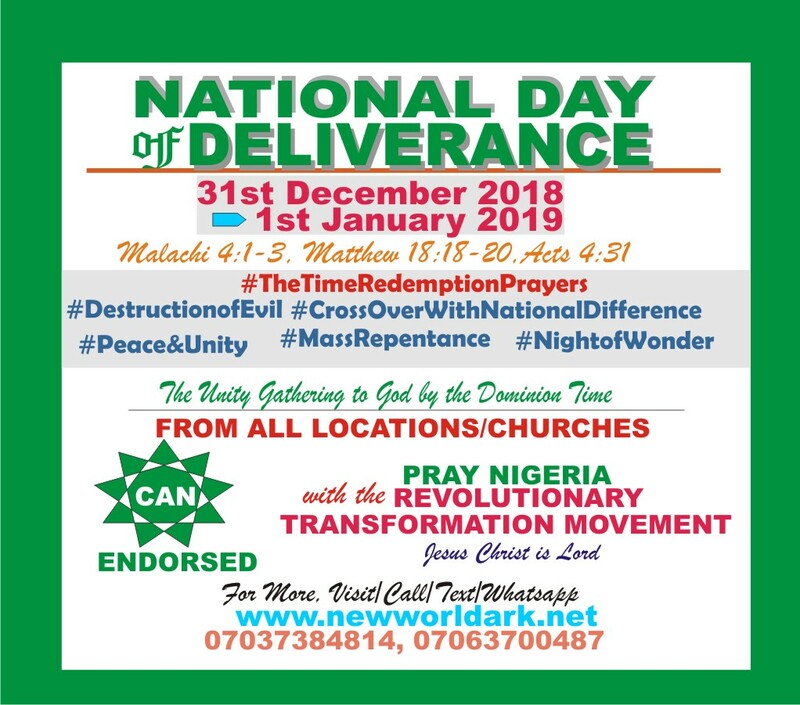 · FOR DAILY FAVOUR & EXPLOIT: Pray daily by the time and also faithfully on God's appointed date (31st December 2018- 1st Jan 2019) in unity. 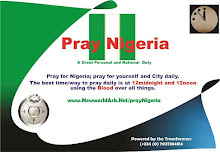 Use the time especially the night for daily devotion constantly and you will be amazed of God’s favour to you. 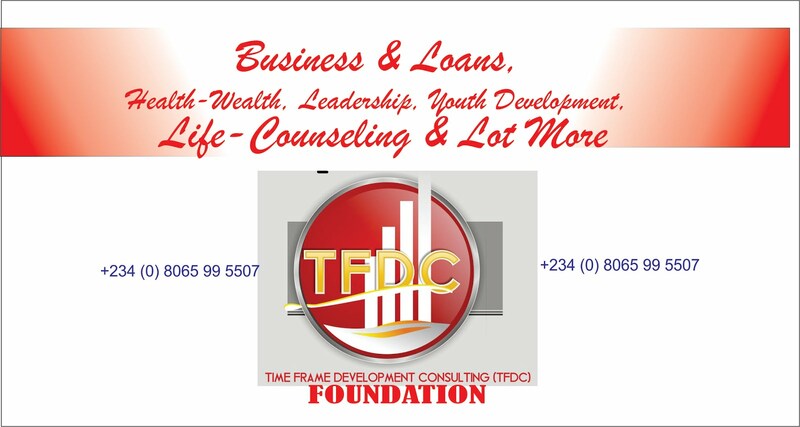 Those who obey the principle of greatness are great. 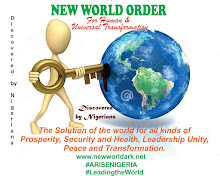 Your first responsibility is to know about this, the second is to share it and then the third is to obey the instruction of the Time Redemption. Congratulations! 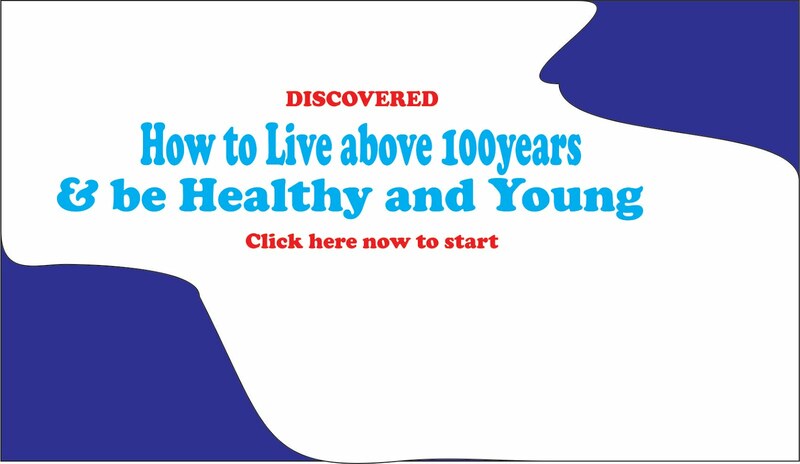 see Malachi 4:1-3 and Revelation 7:9-17. 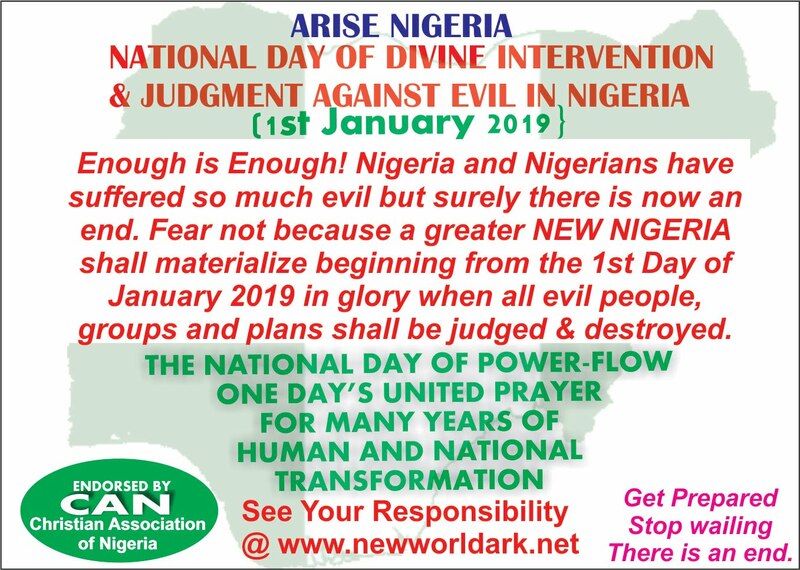 “If it is not God who sent me with this then I will die before or on 1st January 2019”- IJIGBAN DANIEL. 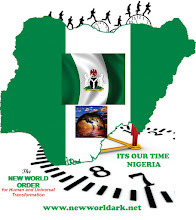 How Will Nigeria Lead the World?